Bucharest hotels in the Old Town are the best accommodation for all tourists who come to this capital city for some excitement and fun. The “old town” is one of the liveliest spots in most cities, filled with cafes, restaurants and historic buildings, and the Bucharest Old Town neighbourhood is situated right in the heart of the city, between two important subway stops, Universitate and Unirea. 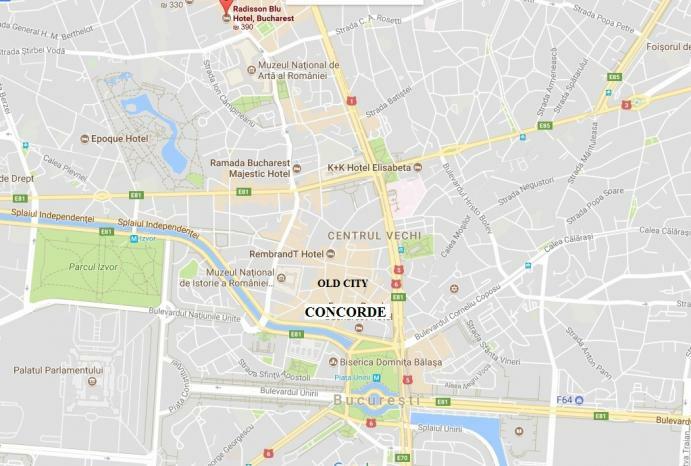 Right here, you will find us, Concorde Old Bucharest Hotel, on one of the oldest streets in Bucharest. We are proud to say that this is an excellent option when choosing a central hotel in Bucharest, because of its wonderful location and rich history. The Concorde building was built in 1878, on Strada Franceză, or “the French street”. Renovations on this building started in 2012, and in 2016 our stylish boutique hotel opened its doors to all the fun loving tourists visiting Romania. While this central hotel in Bucharest is located in the noisy party neighbourhood, once you step inside you can enjoy tranquility, comfort and total relaxation. Check us out and see for yourself why we are one of the best Bucharest Hotels in the Old Town! The Old Center of Bucharest is a state of mind that represents harmony between the past and the present, historical fragrance and new trends, the aesthetic and the functional. 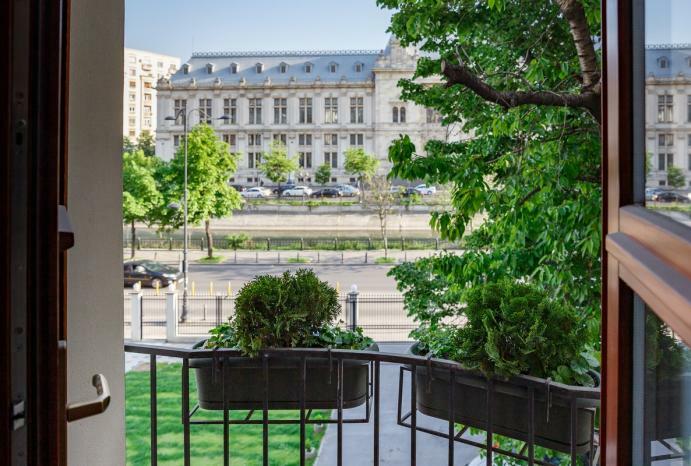 Right here, in a monument building, you can enjoy this delightful balance and state of harmony, in the new and improved Concorde building, turned into one of the best Bucharest hotels in the Old Town. Built in 1878 in the eclectic style - a fashionable architectural style during that period - and with neoclassical elements, this building is a historical landmark in Bucharest. Inside, you will discover 38 stylish and spacious rooms which ensure that your experience in the city will be positive and memorable. The 38 elegant rooms offer ultramodern comfort to the tourists: massive wood furniture, windows that open to spectacular panoramas, free Wi-Fi (don’t forget that Romania is among the countries with the fastest internet speed!) and all the necessary facilities to spend quality time. In addition to this, guests have the fitness room at their disposal, along with a massage cabin, a sauna, and a bar. Step outside the historical building and you will find a lively atmosphere at all hours of the day, romantic cobblestone streets and groups of tourists who had to walk so much to get to admire everything you can see from your window! Remember that all you need for a great trip is good company and excellent accommodation. Check out our rooms at this central hotel in Bucharest and enjoy an exquisite experience - with everything you need within walking distance! From spacious rooms with a view, to modern appliances and tasty mini bar treats, this central Bucharest hotel is an excellent choice for tourists, as well as business people. Besides restaurants, bars, cafes and historical buildings, Concorde Old Bucharest Hotel is also close to business centers and shopping malls, making it an attractive accommodation for people coming to Bucharest on business. My friend and I stayed at the Concorde Old Bucharest for 3 nights and shared a 2 single bed room. The hotel is perfectly located and you can enjoy the old city’s nice restaurants, bars and venues at a walking distance. I worked at the hotel and my work experience was seamless. For the millennial tourists, the Concorde Old Bucharest Hotel is ideal, being located where the thrilling Bucharest nightlife meets the intense gourmet challenges and countless tourist attractions. Tourists don’t have to wonder too much which are the best places to visit in Bucharest - they can book at the hotel one of the Bucharest tours specially created for everyone with wanderlust in their heart, or they can explore the surrounding area, hop on a bus or use the subway lines to get around to other important landmarks in the city. Bucharest is filled with beautiful surprises waiting to be discovered! 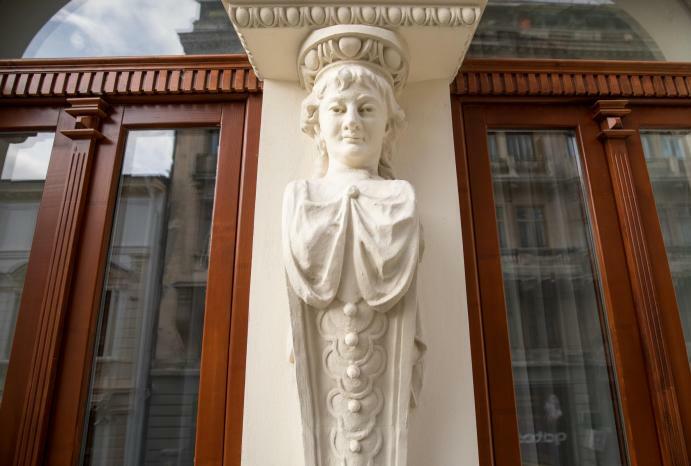 You are invited to come stay at one of the newest and coolest Bucharest hotels in the Old Town, Concorde Old Bucharest hotel, where the old meets the new and creates a brilliant atmosphere for the modern traveller.